Multiple Pentagon officials have privately said deploying troops to the southwest border will hurt “readiness” — military jargon for having enough forces trained and ready to fight. It also runs contrary to the Pentagon’s renewed emphasis on “lethality,” a military buzzword that refers to the ability to quickly overpower enemies. “You’ve got 5,000 troops that are trained and ready, and we’re using them for something other than their intended mission,” said Todd Harrison, the director of defense budget analysis with the Center for Strategic and International Studies in Washington, and a close watcher of the Pentagon’s budget. Committing troops to one operation means fewer forces for another. Compared with how many troops the United States has stationed in Syria (2,000), in Afghanistan (14,000) and in Iraq (5,000), the number of soldiers sent to Texas, Arizona and California will be a significant slice of all troops deployed worldwide. It is true that the border mission would require only a fraction of the roughly 1.3 million active-duty troops in the American military. 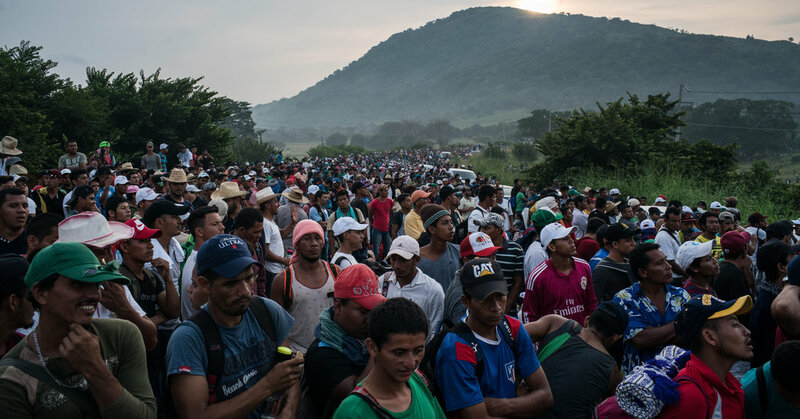 But assigning engineers, medical staff and logistic personnel to the border will also deplete those limited number of specialized troops if they are needed for a national disaster or to deploy to a war zone. Getting to the border will consume other resources. Quickly sending more than 5,200 troops, their vehicles and equipment to the southwest border is no easy task and will require a small fleet of aircraft to accomplish effectively. That means transportation jets and other aircraft will have to be repurposed from other assignments. The troops will come from bases across the country and be sent to ones near border towns in Brownsville, Tex. ; in Nogales, Ariz.; and in Southern California. There, troops will need to be housed and fed. That means they will need temporary eating facilities and tents if permanent facilities are overwhelmed — or if they are sent to more austere locations.